This lampshade is handmade to order. 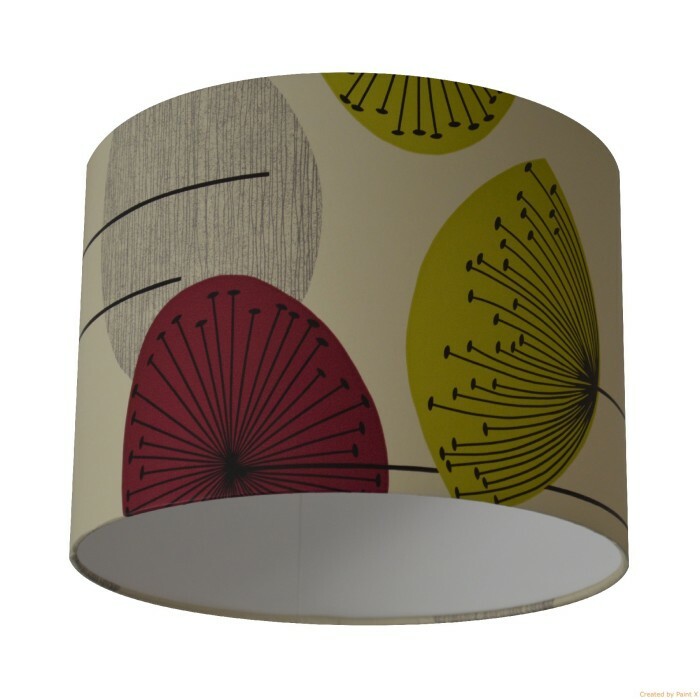 A 50’s retro design with stylised dandelion flowers in blackcurrant colourway . The pattern continues right around the lampshade and top and bottom edges are hand rolled so that the pattern continues beyond the edge.